One of the most memorable children's dramas of the 1970s was Children Of The Stones. The serial, transmitted in 1977 and starring a pre-Blake's 7 Gareth Thomas, is highly regarded as one of the select benchmarks of telefantasy made for kids and adults alike. The writers Trevor Ray and Jeremy Burnham were no strangers to the fantastic. 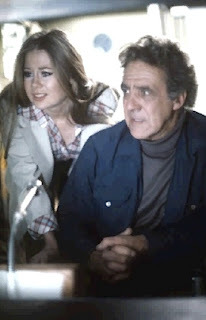 Ray, formerly an actor, had worked on Doctor Who as an associate script editor, covering The Invasion through to Spearhead from Space and writing the final episode of Ambassadors Of Death. Burnham was also an actor and with both scripts and appearances in The Avengers, Randall And Hopkirk (Deceased) and Danger Man, amongst others, to his credit. 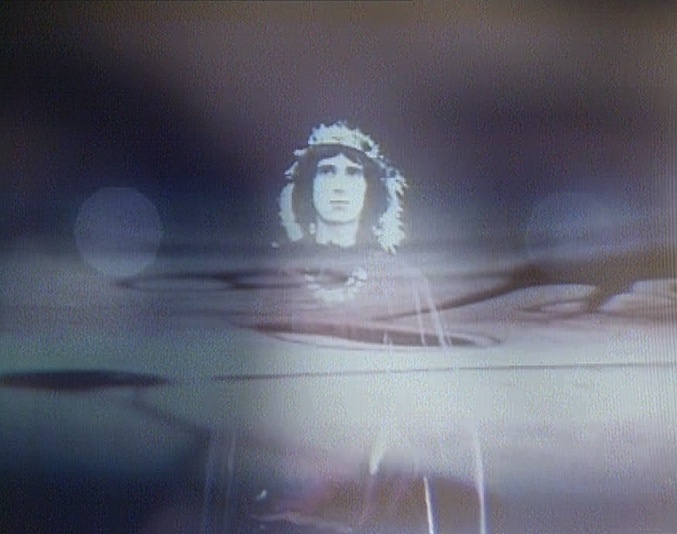 Children Of The Stones was a superb serial mixing supernatural elements, the paranormal and archaeology - a veritable smorgasbord of Village Of The Damned, Quatermass and The Wicker Man - supported by scripts that didn't talk down to the younger audience and that featured engaging adult and young characters. It's the pinnacle of those great fantasy serials that HTV and producer Patrick Dromgoole made during the decade. And so we come to Burnham and Ray's later offering for the same audience, Raven. 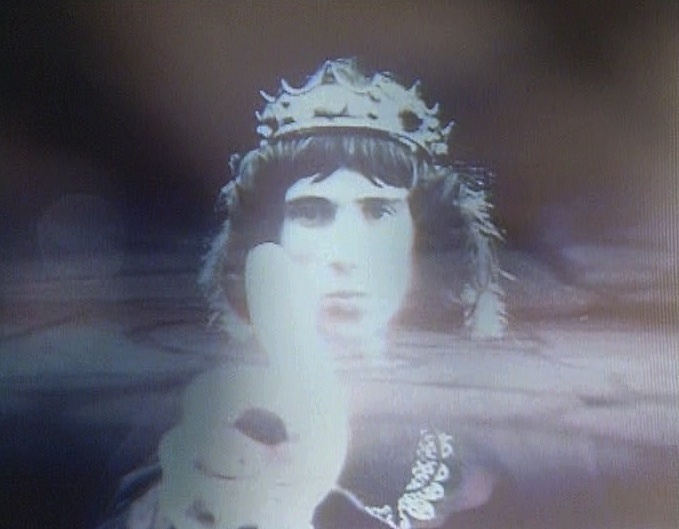 Made by ATV in 1977, itself no stranger to producing some of the best British telefantasy, this six part serial picks up many of the trappings of Children Of The Stones (mysterious stone circles and caves all present and correct) and throws into the mix the 1970s 'Age Of Aquarius' astrological obsessions and plenty of Arthurian legend. What it also does is magnify some of the Baker and Martin social realism and eco parables that marked out the equally interesting Sky, itself paralleling many of the themes of Children Of The Stones. It also compliments the stunning BBC adaptation of The Changes (screaming out for a DVD release - are you listening 2 Entertain?) too with its Arthur and Merlin subtexts, anti-capitalistic stance and pro-eco themes. Burnham and Ray cleverly give a twist to the central hero, Raven, a borstal delinquent taken in by Professor Young and his wife. Rather than make him a stereotypical hard case, they show that he's a tough young lad who knows he's done wrong in the past but is emotionally sensitive to his own desire to reform and make a go of his new chance at starting afresh. He's a character that actor Phil Daniels totally inhabits, offering us an assured performance that captures his realistic frustrations, insecurities and inner spirit as the reluctant hero of the piece and manages to avoid fluffy, liberal sentimentalism. A thoroughly appealing antithesis in some ways to Richards, the Borstal inmate he played (and both dramas were probably shooting at roughly the same time) in 1977's Play For Today: Scum, who can only see a future of crime and prison ahead of him. Daniels would go on to feature in some prominent British films in the late 1970s and early 1980s, including Quadrophenia, the film version of Scum, Breaking Glass and that very atypical Alan Clarke film Billy The Kid And The Green Baize Vampire (written by Trevor Preston). Raven tells the story of the titular young man as he leaves the borstal to meet his probation carers, the Youngs, and how he gradually becomes enmeshed in the work of Professor Young (a wonderful turn from Michael Aldridge). Young is trying to save an archaeological dig near an ancient stone circle from a government plan to bury nuclear waste in the caverns beneath a new reprocessing plant. As the story unfolds, Raven realises there is much more to Professor Young's obsession with the ancient caves than the mere ramblings of an eccentric academic. The caverns are the nexus for the return of the 'once and future king' and Young is the gatekeeper in waiting. He knows Raven's true identity and power and slowly convinces the lad that he is the reincarnation of Arthur. In turn, Raven has the ability to gather together a disparate band of followers, or 'knights', all linked to the power in the caves, to fight what they believe will be the government's folly and will lead to irradiation of the area for millions of years. 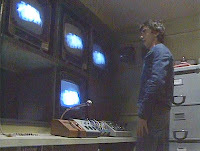 The serial's realism, heightened by the whole thing being shot on video (including the locations) and the central performance from Daniels, doesn't shirk from Raven's past - there is an opening scene on his train journey in the first episode where he has a run in with a 'job's worth' train guard; the fact that he keeps his cutlery in his top pocket out of the habit formed at borstal; he jumps out of bed shouting 'Sir!' when Mrs. Young (a sweet little performance from Patsy Rowlands) wakes him. Nor does it present Professor Young in an initially positive light. He's grumpy and short-tempered. The fact that he's wheelchair-bound adds to the logical idea that as a disabled archaeologist he wouldn't necessarily be able to get down into the caves to do the digging himself and instead conducts everything via two-way CCTV in his site office. 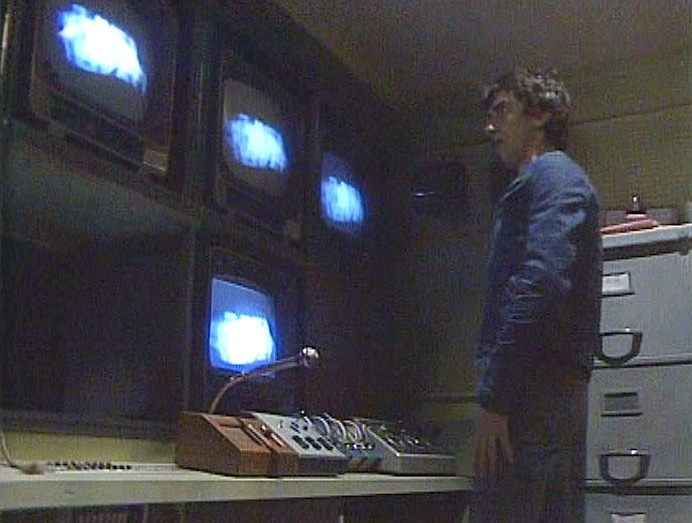 This device really comes into its own in the later episodes, especially when Raven and the government's site manager Bill Telford are trapped in rock falls, when a combination of CCTV interaction and the arrival of a news team produce a dizzying mix of fourth wall breaking coverage that is us watching them, watching each other as a live news report is put together in the middle of the story. It has a gritty power that Nigel Kneale would be proud of. Raven's concern for Bill Telford's fate is genuinely affecting and Daniels communicates these feelings rather well. The way media reports environmental concerns is an interesting subtext too. A central character is Naomi Grant, played by Shirley Cheriton, who is slumming it on a local paper until she meets Raven and instills in him his new found cause as protector of the ancient and sacred shrine. She's also the one who acts as mouthpiece for much of the astrological interpretation embedded in the story and her insights, though we might scoff at them now, are all part of that period in the 1970s where the New Age was all the rage as the population thought they could attain some sort of human potential through occultism, astrology, metaphysics, music, collectivism and nature. There's even a nod, later, to the decline of local newspapers and how regional titles swap proprietors and therefore change their policy. Tenniel Evans's editor is one amongst many adults that Raven must convince that protesting against the plans isn't a lost cause and initially he, Raven and Naomi are at loggerheads. Indeed, the serial does successfully merge the themes of collectivism (Raven rallying his knights together reaches an apotheosis of mystical and political collectivist philosophy) and nature (Mrs. Young is a dedicated ornithologist and bird imagery dominates the entire story, especially as an anthropomorphic link between Professor Young and the rare merlin, between Raven and, naturally, the raven. 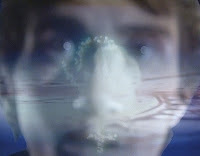 As Raven sees this rare species land and flutter through the window of the Professor's study, there is a series of still images of the bird and the Professor rapidly inter-cut together, the bird and the Professor become one, both with glowing green eyes as indecipherable whispering and special sounds soak the soundtrack. Later, episode one ends with Raven, woken in the night, transfixed by the shadows of flapping wings in a doorway and bird calls mixed with squeaky wheelchair noises, with a repeat of the still imagery, as the Professor wheels into the study. Arresting moments that neatly come full circle by the end of the serial. 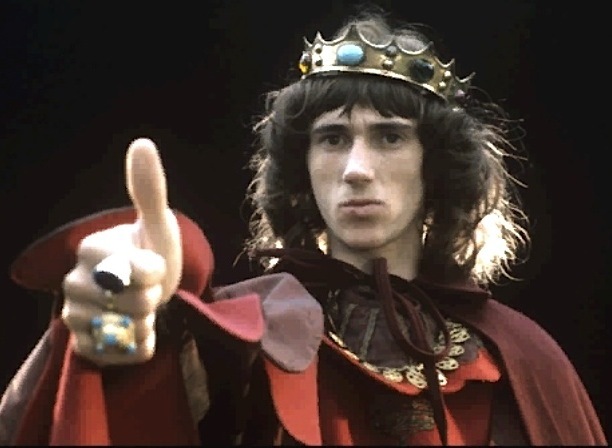 The realism is disrupted by a number of psychic 'visions' that really capture the sense of the mystical nature of the Arthurian legend manifesting itself through the mind-altering psychedelia that was prevalent in the New Age-ism of the 1970s. Raven's true nature and his relationship with Professor Young (i.e. 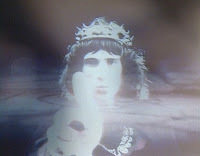 that between young Arthur and the aged Merlin) is articulated through still images, powerful sound effects and special sounds as well as a trippy 'Star Gate' style sequence where Raven sees himself robed and crowned as Arthur seemingly returning from the depths of time and space to anoint his successor. Presumably these were the work of the graphics designer Geoff Pearson who also gives us a great set of opening and end titles to each episode too. He uses some of these elements really effectively when Raven goes alone into the site office and sees shapes manifesting themselves on the row of CCTV monitors. Pearson and his video team layer symbols, faces, images, animations into the mystical moments of epiphany and the sonic mix of whispering voices, synthesised notes and white noise is wonderfully otherwordly. With its anthropomorphic animal and bird imagery and concerns about the fate of the planet, the story also anticipates many of the themes that would crop up later in Troy Kennedy Martin's Edge Of Darkness and, whilst this may not have quite the same pedigree, both do share a fascination with reincarnation, nature and nuclear power. Both have bittersweet conclusions and Raven ends in a very realistic rather than overtly triumphant way and with a hopeful, mystical coda. 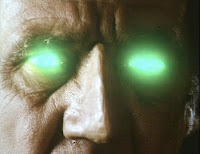 The Professor dies as Raven makes his final connection to Arthur's power in the caverns and convinces the government minister (a well cast Harold Innocent) to change his mind with a vision of nuclear hell-fire. Even though the plans for the reprocessing plant are successfully halted, Raven doesn't even get the object of his affections, Naomi. Like Guinevere, she sods off with the Lancelot figure of the rather fey TV news man Clive Castle. Raven watches over the grave of his mentor, the end titles scrolling up to the mere accompaniment of bird song and, as the widowed Mrs. Young burns the stuffed effigy of the merlin, almost simultaneously a reanimated bird emerges from the fresh soil of Professor Young's grave. Magical. Michael Hart directs with great skill, his commitment to the fascinating scripts demonstrated by his ability to get some striking imagery, making great use of shadows and highlights, and appealing performances onto the screen. The sound, lighting and graphics all lend a special atmosphere to the episodes and the rawness of the all video production gives it a sense of immediacy. Daniels' performance is memorable and one to be treasured. Long thought to be incomplete in the archives, Network have unearthed all the original 2" tape masters and present the episodes here on DVD as a web exclusive release. Treat yourself to a gripping little tale that seems to have been ignored in favour of the similar serials of the era. 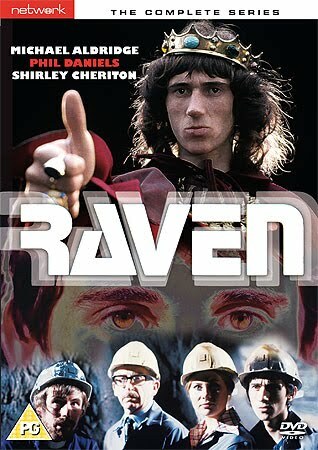 Raven - The Complete Series (Network DVD 7953251 - Region 2 - Released 10th May 2010 - Cert PG) Only available as a 'web exclusive' from the Network site. Is that the same Michael Hart who directed Doctor Who: The Space Pirates?